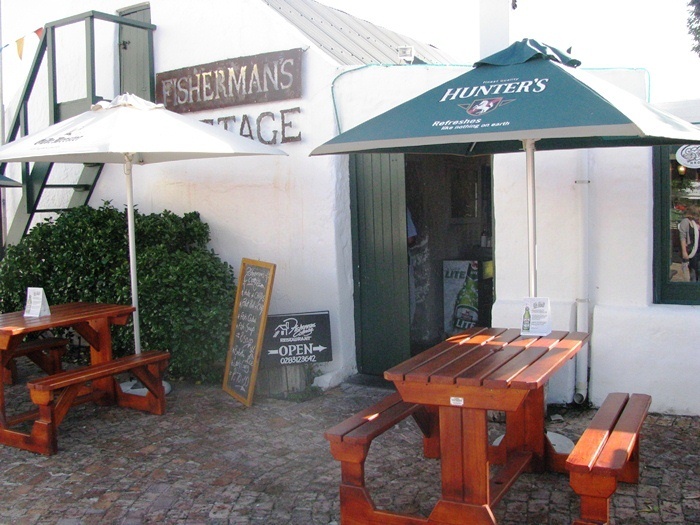 Fisherman’s Cottage Restaurant in the holiday town of Hermanus is a quaint, rustic establishment that serves up a selection of seafood and other South African favourites in a charming setting. Fisherman’s Cottage is gains its character from its historic significance. The restaurant building is an original fisherman’s cottage that dates back to the 1890 and forms part of the old harbour museum in the fisherman’s village. 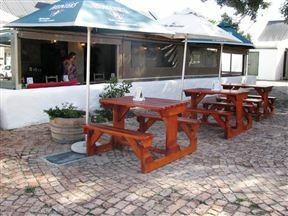 Today guests happily sit at its rustic bench tables be it indoors or at the covered patio and enjoy the prepared catch of the day. The extensive seafood menu delivers peri-peri Yellow Tail, Calamari, seafood curry or Mussel and Shrimp spring rolls. Other menu items include venison dishes such as Gemsbok Loin and Eland Steak. Be sure to check out the blackboard for the specials. In winter the best seats are close to the log fire. Fisherman's Cottage is 2km from the centre of Hermanus , the nearest airport 88.1km (Cape Town International Airport).